Time: 10am – 6pm each day. There will be a 1.5 hr break for lunch each day. Cost: $495 per person. You must register in advance. Space is limited. During this workshop we will cover the second part of the Combat Tai Chi program. This is a stand alone workshop. 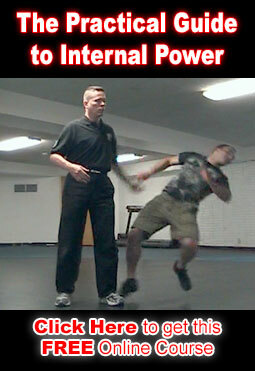 You Do NOT need to have attended previous workshops to attend this one although we recommend studying the “Internal Power” DVD. You don’t want to miss this event! Participants will receive live hands on instruction and correction for a fraction of the cost of the DVDs. This workshop will contain a lot of the high level hard to find information that many people spend years just trying to find, much less acquire. We highly recommend that you bring a notebook and take a lot of notes. Plus everyone who attends the workshop will receive a 50% discount on the DVDs we film that weekend.